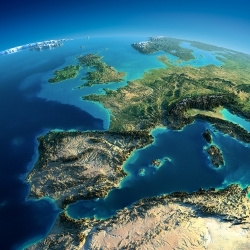 Responding to the UN report on climate change mitigation, European innovators working across a range of climate innovation disciplines are stressing that major efforts are well under way in Europe. London, United Kingdom, April 15, 2014 --(PR.com)-- European innovators working across a range of climate innovation disciplines are stressing that major efforts to mitigate climate change are under way in Europe. They say, however, that the report released by the Intergovernmental Panel on Climate Change is a timely reminder of the urgency to reduce greenhouse gas emissions through new solutions – and to invest accordingly. The innovators collaborate in Climate-KIC, the European Union’s main climate innovation initiative. It is Europe’s largest public-private innovation partnership focused on mitigating and adapting to climate change which - next to open innovation and education efforts - also runs the world's largest climate specific start-up accelerator. David Goatman, who focuses on CO2 reduction in the building sector for Climate-KIC, said: “The IPCC report is a timely reminder of the urgency of reducing greenhouse gas emissions. As the built environment is responsible for approximately fifty per cent of emissions in any developed country this is a critical sector to focus on.” Goatman is Partner, Head of Sustainability and Energy at global property consultant and Climate-KIC partner Knight Frank. One of Climate-KIC’s new flagship projects, the Building Technologies Accelerator, is already looking at solutions such as innovative façades, sustainable wood structures, home energy systems and innovative work environments. Holger Wallbaum works on another flagship project for Climate-KIC: Smart Sustainable Districts. “The IPCC report emphasises once again that cities need to make an important contribution to mitigate our carbon footprints,” said Wallbaum, who is Professor in Sustainable Building at Climate-KIC partner Chalmers University of Technology in Sweden. “Current solutions are often limited to a single sector and to technological approaches which cannot on their own meet the challenges cities face today,” Wallbaum said. Climate-KIC’s Smart Sustainable Cities project helps turn some of Europe’s highest profile district-level developments into model projects and test beds – for replication of smart, sustainable city systems in other urban areas around the world. “To meet the significant carbon and greenhouse gas reduction targets for cities, we need integrated approaches at the municipal systems level that require new frameworks and models – not just for commercialisation but also for governance, procurement, financing and public acceptance,” he said. Jeremy Woods – who works on the bio-economy for Climate-KIC and is lecturer in bioenergy at Climate-KIC partner Imperial College London – says that biofuels “done right” can contribute significantly to sustainable fuel production and decreased greenhouse gas emissions. “Along with many of my colleagues at Climate-KIC as well as with an international team of independent bioenergy experts that I work closely with, I believe the real potential of bioenergy for climate mitigation will not be fully accessed unless its development is viewed from a truly whole-systems perspective,” Woods said. “This requires real and persistent European and global collaboration,” he added, pointing to the development of a sustainable bio-economy. Woods indicated that because the intense scrutiny biofuel developments are under – and the novel monitoring and measuring protocols that have been developed over the last decade – there are good prospects for integrating biofuel systems into agriculture and forestry landscapes, in order to stimulate productivity growth, local development and sustainable land-use practices. “Effective mitigation depends on properly understanding and quantifying sources of emissions,” said Jane Burston, who works on greenhouse gas measurement for Climate-KIC and is head of the Centre for Carbon Measurement at Climate-KIC’s partner the National Physical Laboratory. Burston pointed to the Climate-KIC Fugitive Methane Emissions project (FuME) as an initiative that will provide services for waste water companies, gas grids and shale gas extractors to detect and monitor methane leaks. “Only by doing this will industry be able to manage their emissions by developing more efficient processes and capturing gas that would otherwise have been leaked,” concluded Burston. Climate-KIC is the EU’s main climate innovation initiative. It is Europe’s largest public-private innovation partnership focused on mitigating and adapting to climate change. Climate-KIC consists of companies, academic institutions and the public sector and runs - next to its open innovation and education efforts - the world's largest climate specific start-up accelerator. The public-private partnership is partially funded by the European Commission through its European Institute of Innovation and Technology (EIT) – which has confirmed an initial €63 million grant for 2014 – and receives financial and in-kind support from over 200 businesses, universities and public bodies across Europe.